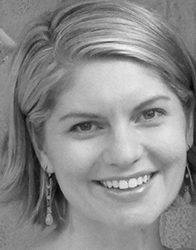 Stephanie Begun, Ph.D., MSW, RSW is an Assistant Professor at Factor-Inwentash Faculty of Social Work, University of Toronto. Dr. Begun’s scholarship focuses on improving reproductive and sexual health access, education, and outcomes among homeless and other marginalized young people. Her practice-based experiences in family planning policy and advocacy inspired her career in social work research and teaching. She is the PI/Co-PI on several externally funded projects that are investigating ways by which prevention science, policy, community-based research, and technology may work in tandem to facilitate youths’ opportunities to make self-determined, safe, and medically accurate decisions regarding their sexual and reproductive health. Dr. Begun teaches social welfare policy, community and organizational social work practice, and social justice research methods, with emphasis placed on participatory action and arts-based research. Dr. Begun also serves as an Instructor with the University of Toronto Centre for Critical Qualitative Health Research: http://www.ccqhr.utoronto.ca.